Lovely Guida this morning with Maia sneaking up from behind to ‘share’ her palms with her. Rana was just out of the picture. Guida continues to improve, today she is at about 80%, which earned her access to the larger habitat. She had been closed in the smaller yards, (about 5 acres), so we could easily monitor her and have her near the barn if her health was to decline. We are keeping a closer eye on her than usual, but it’s good for her to walk and have a more ‘normal’ day to help her get back to 100%. Her diet is still being limited and adjusted for the tail end of a colic episode, which involves a fair bit of spoiling, so she doesn’t mind. 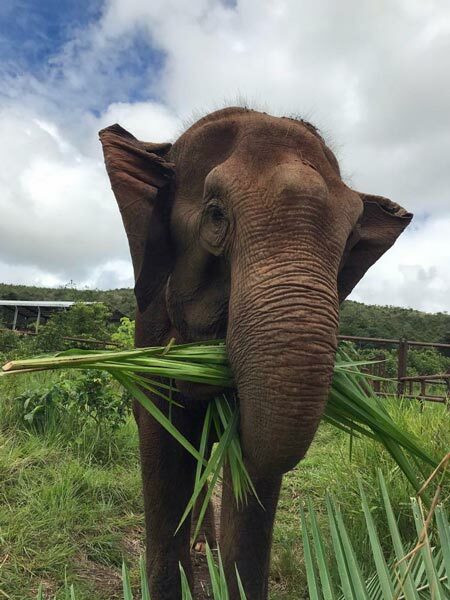 She also felt well enough this morning to walk over to Rana and steal one of her palms. Not a charming behavior, but encouraging to see nonetheless. 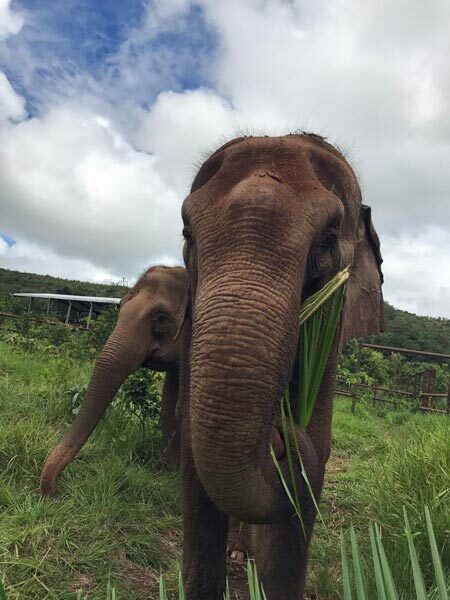 And Rana didn’t mind, she’s just happy that Guida seems better. This won’t be a ‘done deal’ until a couple of days after Guida gets back to being herself. There is a strong opportunity for relapse up until that point. Colic is something she has struggled with throughout her time at the circus, so it’s something we have to remain vigilant about in the future. As people who have dealt with colic in horses know, there are things that can be done to try and preclude another episode (and we already were) but it’s very difficult to fully prevent in those who are prone to it. I had to smile when it was stated that Guida was in the smaller five acre area. Any zoo or circus elephant would love to have that much space. Glad she is recovering. I am familiar with colics in horses and elephants. It is always wonderful to feel good! Good health is priceless! Keep up the good work!